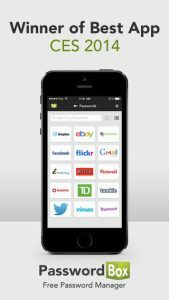 Winner of “Best Mobile App” at CES 2014,PasswordBox Password Manager is an iPhone app developed byPasswordBox Inc.
PasswordBox Password Manager appears to have struck a really good balance between security and ease of use. This app supports 1-Tap login, but also uses AES-256 security encryption to protect your data. But what makes PasswordBox so excellent is the fact that it does more than just store passwords…it also helps you to generate better passwords. You can create passwords, and save them while you browse the web. One feature I found very intriguing is the ability to utilize secure password sharing with co-workers or family. This is great if you have shared accounts for video streaming sites, cloud storage sites, or other shared services. There’s a related “legacy locker” feature, which lets you pass down account info and passwords to friends and family. You could conceivably pass on your email and digital content libraries to loved ones after your death. 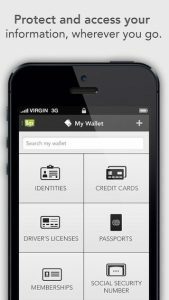 PasswordBox Password Manager also includes a Wallet feature. 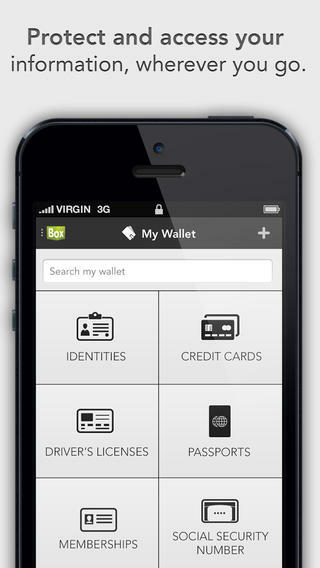 You can use this to store credit card or bank info. While the app is free, you can only save 25 passwords. If you want to save more than that, you need to upgrade to PasswordBox Unlimited. This will set you back $11.99 per year. There’s a lot to like here. The interface is simply gorgeous: a clean, organized way to input your passwords. This tool is secure, saves time, and is simple to use. If you want to have the peace of mind that comes with excellent passwords, but with none of the stress of having to remember a complicated string of letters and numbers, this is a must-have app. 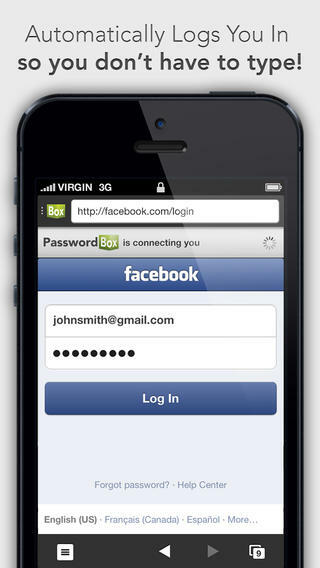 PasswordBox Password Managerrequires iOS 6.0 or later. Compatible with iPhone, iPad, and iPod touch. This app is optimized for iPhone 5.